Even if you’re being wed on the beach in an exotic location, you can still give your ensemble a pop of vintage flair. Just check out these gorgeous design that infuse both old-age spirit and getaway-inspired fashion. A bit of the 50’s is wrapped up in this easy-to-pack wedding dress! A bit of lace is a bride’s best friend and so can a hint of 1920’s inspiration. There is so much silk and sexiness wrapped up into this beauty, we know you’re dying to try it on too! We’re imagining Daisy from The Great Gatsby wearing this gorgeous number. Maybe you’ll need to be a bit more covered up for your winter, beach wedding and some bohemian flair too. And here’s another 1970’s-inspired dress that could really highlight your destination wedding in the right ways. Slip into something that flows with a sophisticated sexiness, like this beautiful design. There’s a gorgeous mix of contemporary trends and old-age spirit sewn into this beauty. This too has elements of modern visions and vintage vibes, we’re in love with the chicness and uniqueness. The overlay to this sparkling gown would be beautiful flowing in the wind throughout your destination celebration, don’t you think? 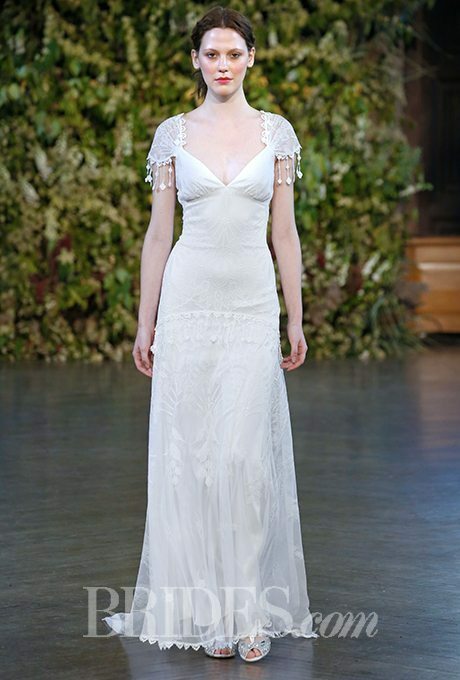 It’s easy to fall-in-love with these sultry and light wedding gowns from designer, Maison Signore. They’re romantic, easy-to-wear and quite whimsy as well. You’ll find destination styles, vow renewal pieces and gorgeous, traditional wedding gown designs all right here!